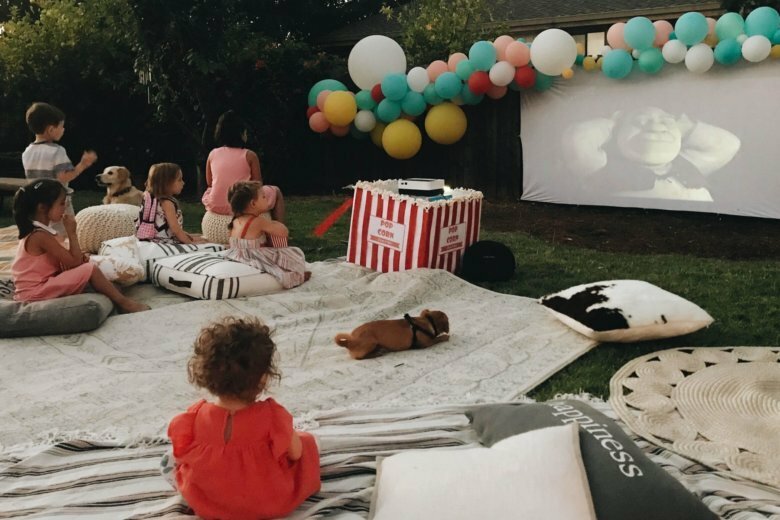 When Karen Snyder’s daughter asked if she could have friends over for swimming and a movie, the Los Angeles mom agreed. Then she looked for a way to keep the whole party outside to avoid wet clothes on her furniture. She was pleased to discover that improvements in audiovisual equipment meant she could easily afford and set up an outdoor theater in her backyard. Snyder researched what she would need online, but many specialty and big-box stores employ consultants to help customers find the right products. While pulling together a system isn’t difficult, you need to consider how you intend to use it, the features of your yard and what equipment you already own that can be used outside, AV experts say. Customers have two main options for backyard viewing: outdoor televisions and projection systems. The main challenge with outdoor viewing is attaining a bright-enough picture to offset natural light, said Martha Roussopoulos, a sales manager at Backyard Theater Systems in Eden Prairie, Minnesota. Outdoor televisions are not only designed to withstand the elements, but they are two to four times brighter than regular TVs, says David Barnett, a technical services manager for Magnolia Audio Video at Best Buy in Richfield, Minnesota. The starting price for an outdoor television is about $2,500, but one can easily cost twice that, he said. Mounting TV sets in a covered area can improve visibility, adds Robert Silva, who writes about home theaters for the technology website Lifewire. If you don’t have a spot to hang the set, you might put it on a wheeled cart and store it in a shed or garage, he said. Silva recommends televisions rather than projectors for watching sporting events outdoors, since many take place during the day. Unlike films, which are designed for the big screen, sports broadcasts are intended for television, he adds. Customers wishing to show movies outside will need to do some homework on the variety of projectors, screens and speakers now available, Roussopoulos said. “It’s become more popular and there are a lot more options than there used to be,” she said. When purchasing a projector, pay attention to how much light it emits, measured in lumens. Snyder uses her system at her family’s Los Angeles home and their ranch in Montana, where it doesn’t get dark until 9:30 or 10 p.m. during the summer. She bought a projector “with a higher lumens output” so she can start showing movies at dusk. The family uses the system well into the fall because shorter days mean they can start their films earlier in the evening. Roussopoulos recommends at least 3,000 lumens for outdoor use, especially if you want to start the show before dark. A decent starter projector will cost between $300 and $700. Determine how you intend to play movies. Some projectors have built-in disc players. Others have HDMI inputs so you can connect them to a disc player, game system or laptop. Some have smart TV functions and can stream movies. If you intend to stream content, be sure you have a strong Wi-Fi signal outside your home. When shopping for a projector, remember that it’s likely you already own a device for playing movies that will work with it, Silva said. As for the screen, it can be as simple as a white bedsheet pulled taut, Silva said. However, a growing number of manufacturers are making free-standing screens that can be easily assembled for home use, Roussopoulos said. The screens, which usually collapse and roll up for easy storage, range in price from $250 to $1,700. They come in a wide range of sizes and include all the necessary tie-downs to keep them in place. While outdoor moviegoers likely won’t expect a theater-quality experience, it’s helpful to have something to amplify the sound, Barnett said. Consider using a set of speakers from a laptop computer or stereo system, Roussopoulos said. She often sells speakers from public address systems to accompany projectors. Snyder bought an inexpensive sound bar that connects to her projector. The experts don’t recommend wireless speakers because they often operate on a delay that puts a movie’s sound and picture out of sync.